Have you ever sent an email to your subscribers and gotten little or no response? I have – and not only is it a bummer, it really hurts your business. If your readers don’t open your emails, it’s hard to get them to sign up for your coaching or register for your programs. On the other hand, powerful, HOT subject lines compel your readers to open, read and more readily act on what’s inside. You attract more attention and your business grows. Bottom Line: Your subject lines can make the difference between struggling to get clients and thriving in a 6-figure business that allows you to serve and influence thousands, and live the life you want for yourself. That’s why I’m super excited to invite you to a FREE training I’m hosting where you’ll discover how to create client-attracting subject lines that make a huge difference in your business — AND avoid those that waste your time and energy and bring disappointing results. 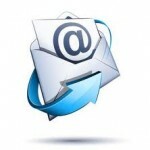 Click here if you want to discover how to write HOT subject lines! Join me and my good friend Linda Claire Puig – The 6-Figure Newsletter and Email Marketing Expert. => How to double the profits from your list with GREAT subject lines. => The #1 secret to avoid getting your emails reported as spam. => The 7 deadly subject line mistakes sabotaging your business results and how to correct them so that you get a huge response every time you send an email. => Examples of the best (and worst) subject lines and why they work…so you don’t have to learn the hard way. => How powerful subject lines add muscle to each of the 5 essential stages of a 6-figure newsletter system. => How to get your readers to take action after they open your email! If you do ANY marketing via email — or want to and just haven’t yet — this is one of those ESSENTIAL not-to-be-missed trainings that will make a huge difference in your business. Do whatever you need to do to clear your calendar for this important training! P.S. Linda told me she’s going to show everyone on the training how to grab a FREE copy of her super-popular “Subject Line Success Checklist,” which you can keep handy at your desk and use every time you send an email.